The Dual Mode Plus laser-guided bomb (LGB) will be branded Paragon. It is an affordable, effective alternative to current dual-mode weapons. Lockheed Martin has announced that its Dual Mode Plus laser-guided bomb (LGB) will be branded Paragon. The Paragon direct attack munition is an affordable, effective alternative to current dual-mode weapons. "The new brand Paragon exemplifies a model of excellence, and reflects the system's performance and capability," said Joe Serra, Precision Guided Systems director at Lockheed Martin Missiles and Fire Control. "The Paragon direct attack munition has demonstrated performance well within operational requirements and can be released farther from the target than other dual-mode or GPS-guided weapons." Paragon leverages the reliability and affordability of Lockheed Martin's combat-proven LGB, integrating an inertial navigation system (INS)/GPS all-weather moving-target capability to deliver increased standoff, mission flexibility and reliable performance. "Our flexible streamlined manufacturing enables us to offer Paragon as an affordable solution to help stretch defense budgets," Serra said. "Greater capability at a more affordable price benefits our customer by increasing competition in performance-based acquisitions." Paragon has been successfully integrated on the F/A-18. Additional F/A-18 flight testing continues and F-16 test flights are planned for the second quarter of 2017. Effective against fixed, relocatable and moving targets, the Paragon direct attack munition maintains the physical dimensions, mass properties and outer mold line of Lockheed Martin's combat-proven LGB, and integrates seamlessly with aircraft employing LGBs or similar direct-attack weapons using conventional MIL-STD-1760/1553 or Universal Armament Interfaces. Lockheed Martin is a qualified provider of all three Paveway II MK-80 series LGB variants (GBU-10/MK-84 [2,000 lb. ], GBU-12/MK-82 [500 lb.] and GBU-16/MK-83 [1,000 lb.]) and is the sole provider of the Enhanced Laser Guided Training Round and DMLGB. 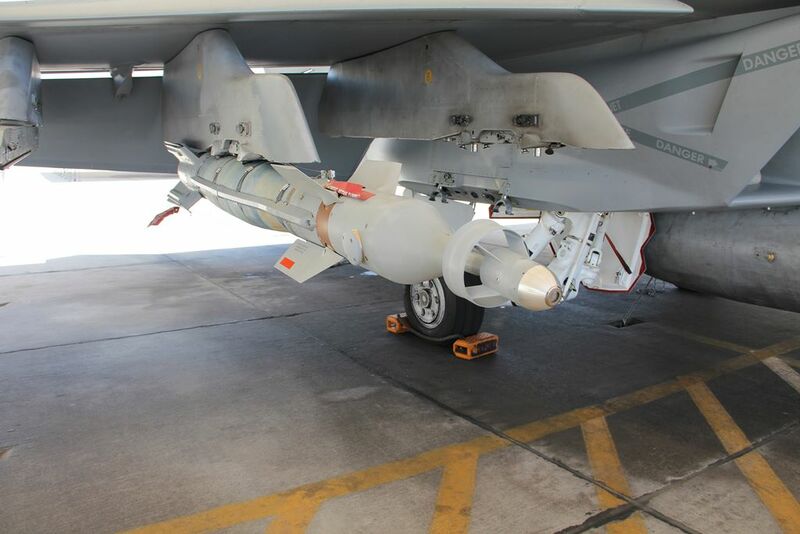 The company has delivered over 150,000 training rounds, more than 75,000 Paveway II LGB kits and 7,000 dual-mode systems to the U.S. Navy, Marine Corps, Air Force and 23 international customers.